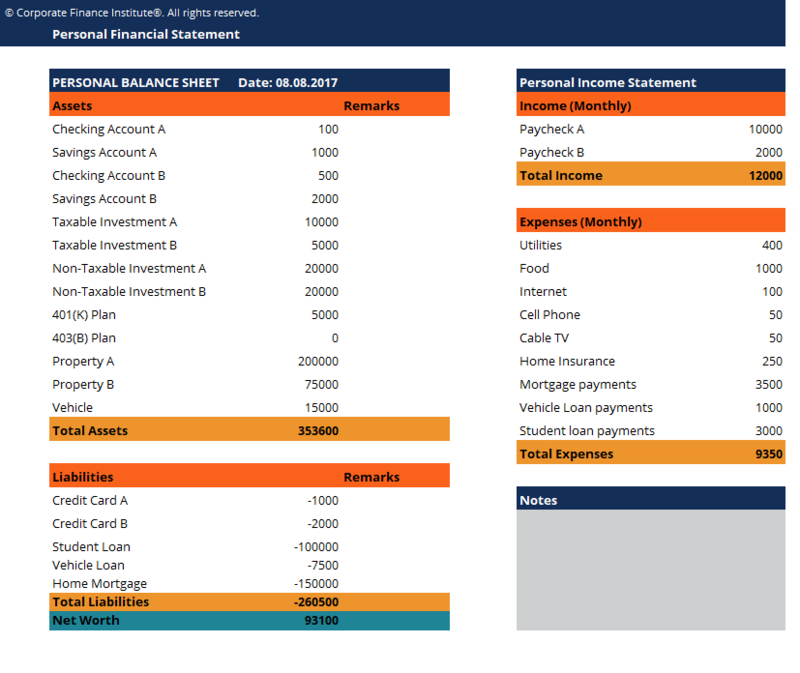 This personal financial statement template is a great tool to keep track your personal assets, liabilities, income and expenses. A personal financial statement is a document or set of documents that outline an individual’s financial position at a given point in time. It is usually composed of two sections: a balance sheet section and an income flow section. Although an individual can use more complex personal financial statements, this article will focus on a simple version. The format outlined in this article is a good starting point for individuals who are new to using personal financial statements to record their personal finances. Why use a Personal Financial Statement? A personal financial statement can be a very valuable tool in planning out one’s finances. It is usually goal-oriented and can help an individual reach his or her financial goals, especially for young professionals entering the workforce for the first time. Most of these people are new to financial planning and a simple personal financial statement is an easy place to start.